About the Book A crumbling lighthouse is not part of the inheritance Army doctor Ben Garrison expects to claim when he journeys to Hope Harbor. Fresh out of the service, he wants only to unload the tower of bricks, decompress from years of treating battlefield trauma, and prepare to launch his civilian career. 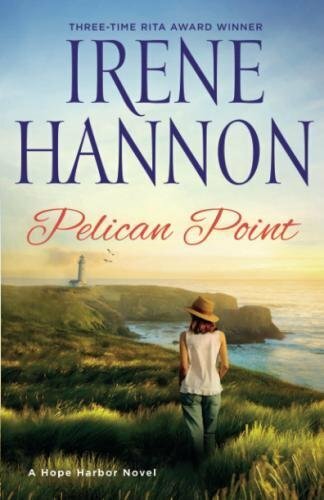 My Thoughts "Pelican Point" is the fourth Hope Harbor Novel. They can be read alone, but one of the main characters is always introduced in the previous book and events from previous books are mentioned in subsequent books, so I would recommend reading them in order to get the fullest picture. I like how there are constant features throughout the books like Charley, the taco stand man; Gladys and Floyd, the seagull couple that hangs out near Charley's stand; the interactions between Father Murphy and Reverend Baker. The book follows the point of view of the main characters, Marci Weber and Ben Garrison, as well as secondary characters, Rachel and Greg Clark. 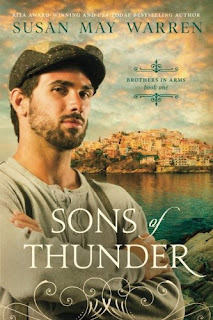 The book was well written and I liked the twists that I didn't expect. The characters grew in their relationships with each other and with God. I look forward to reading more Hope Harbor novels. 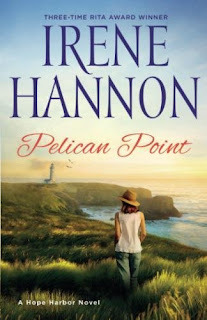 Irene Hannon is the bestselling author of more than fifty novels, including One Perfect Spring, Hope Harbor, Sea Rose Lane, and Sandpiper Cove, as well as Dangerous Illusions and the Private Justice and Men of Valor suspense series. 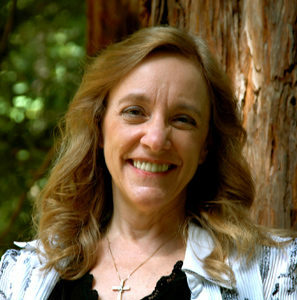 Her books have been honored with three coveted RITA Awards from Romance Writers of America, and she is a member of that organization's elite Hall of Fame. Her many other awards include a National Readers' Choice Award, a Daphne du Maurier Award, a Retailers' Choice Award, two Booksellers' Best Awards, two Carol Awards, and two Reviewers' Choice Awards from RT Book Reviews magazine, which also honored her with a Career Achievement award for her entire body of work. In addition, she is a two-time Christy Award finalist. Learn more at www.irenehannon.com. I got a copy of this book from the publisher. All thoughts and opinions are my own and given voluntarily. No compensation was received for my review. My Thoughts This is the fourth book I've read in this series. I have enjoyed reading the stories and getting to know some new authors (although there are many that were familiar as well). There is a variety of stories, from ones about moms, daughters, friends... There are also a variety of genres, so there is sure to be something for everyone. The life application sections help you apply the stories to your life. The short length of the stories make them perfect for reading with your devotions, or when you have a short amount of time to read. Labels: book, Celebrate Lit, review. We continued our trend of going to somewhere in Michigan for Spring Break. This year, we went to Gaylord, which took about 2 1/2 hours to get to. Because Spring Break actually took place the week of Easter, we got an extra long week since the kids didn't have school on Good Friday. We had beautiful weather for the drive up on Friday and spent the rest of the evening relaxing (despite Will's attempts to get us to go swimming). Will going into the "cave"
Saturday, we had plans to take the kids to an Easter egg hunt and were blessed with snow and wind which made life interesting! They had a raffle and we froze while we waited for the drawing, but they called our number for a boy's scooter! After all the drawings for the different age/gender groups, they went back through and did drawings for the unclaimed prizes. Some of the groups took awhile to find a winner that was present. For the boys' group, they decided to collect the "keep this ticket" part of the ticket for the people still there for that group. I just finished telling Will, "We have to remember our number is 511374" and the guy pulled out a ticket and said "511374"! We won a bike! We were trying to figure out how we'd get it home at the end of the week when we remembered my parents were going to be coming up for a visit. Eureka! We'd send it home with them! Going through the eggs/candy they got. Will is holding the scooter we won. Making Jello eggs. We'd forgotten a funnel, so I made one out of the bottom of a disposable pie tin. Our porch light was automatic and it blinked. It was annoying (especially for Sarah, who's bed in the loft was opposite the window) so we covered it with towels every night! It was the warmest day on Monday and it turned out to be the perfect day for my parents to come up for the day. First, we went to "Call of the Wild Museum"
We went to Walmart and then went to Culver's for dinner. Back at the cabin, we had pie and Emi opened a birthday present from my brother and sister-in-law as they missed her party last week. I don't have any pictures from Tuesday, but we were expecting freezing rain, so we went swimming in the morning and then holed up in the cabin. We ended up with only snow, but got about 9+ inches! We drove home on Friday and had gotten snow the night before, so it was not the best road conditions getting to the freeway, then about a half hour into the drive, we got snow and low visibility for about a half hour. After we made it through that, the rest of the drive was fine.